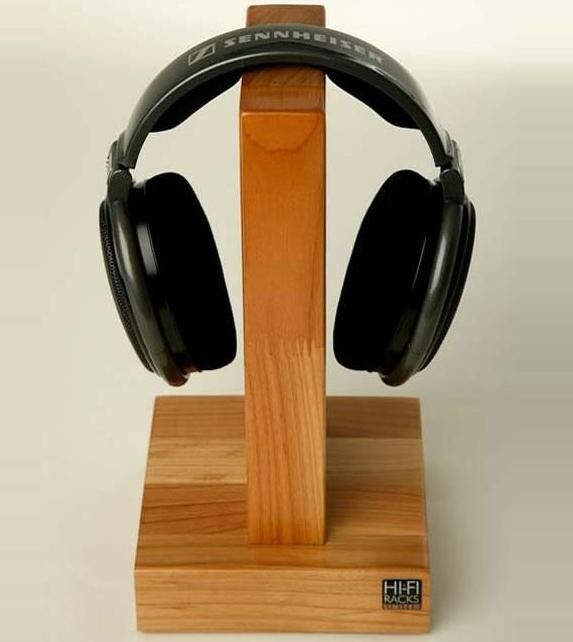 The Hi-Fi Racks Headphones Holder is a beautifully hand made headphones stand available in a variety of solid hard woods - the perfect way to present your precious headphones and keep them safe when not in use. 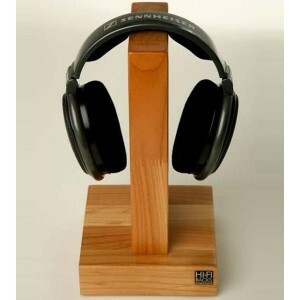 Hi-Fi Racks has built an enviable reputation in hi-fi for creating some of the finest wooden furniture available, and these headphones stands are no exception to the rule! These stands are specially designed to accommodate all types of standard headphones. Each stand is individually hand-made in Hi-Fi Racks Rutland workshop, to the highest standards of British craftsmanship. As they are hand made from solid hard wood, you can be sure no two headphones holders are the same with subtle differences in the grain of the wood. Made using only the best quality solid hard woods. The "standard" finish oak is far from standard and looks stunning. 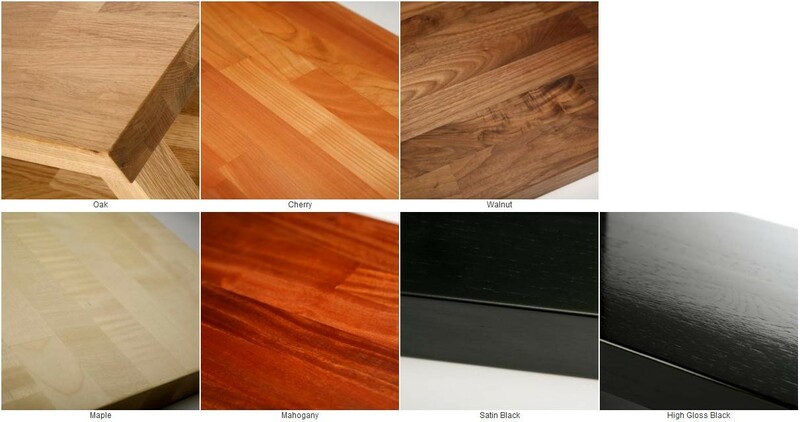 Also available in "premium" hard woods; Walnut, Cherry, Mahogany, Maple, or finished in a black satin or high gloss black. A perfect stand for almost any headphones including Sennheiser HD600, Sennheiser HD650 (the ones pictured are not included! ), Grado SR325is, Grado GS1000i, Grado PS1000, Beyerdynamic T1, Sennheiser HD800 and many more! Beautiful stand for my headphones. Nothing else on the market can compare IMO this is understated and classic. Proper hardwood is just the icing on the cake. Highly recommended. How about displaying these on your headphone stands?